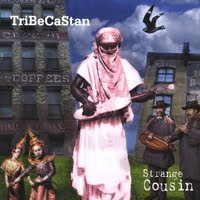 CD Review: Tribecastan...from New York? 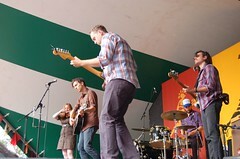 This band is not folk, but certainly gave an "arresting" performance last weekend at the Edmonton Folk Music Festival. Arrested Development is hip hop with a message. 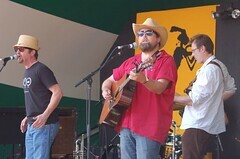 Spirit of the West is an enduring band from Vancouver. For over 25 years, Spirit's unique blend of folk, rock, punk, and Celtic music has gained a huge following under that catch-all of musical labels: alternative. 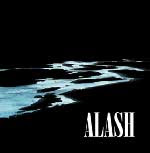 The band's 25th anniversary compilation, Spirituality, was released last year. Spirit of the West also still tours on a regular basis, most recently as the opening act for Great Big Sea. What do you get when you mix roots music with traditional throat singing performed by a bunch of musicians presenting the sounds of the Mongolian population in China? You get Hanggai - a musical treat for the ears. 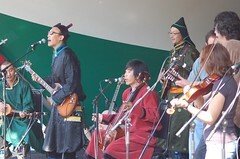 Dressed in traditional Mongolian garb, the members of Hanggai took to the stage at the Edmonton Folk Music Festival this past weekend for a workshop entitled "Newgrass." Along with The SteelDrivers, Hanggai performed some incredibly energetic music combining electric guitar work with traditional Asian instruments. One piece in particular, which kept getting faster and faster with every verse, had the audience clapping and dancing. 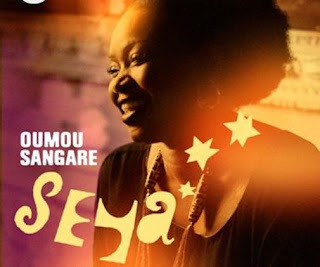 The name Touré has become synonymous with World Music, the large Africal family having producing several bands and solo artists. 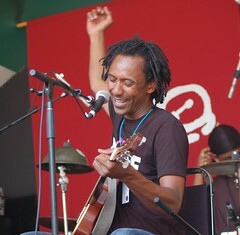 Daby Touré has recorded and performed both solo and with his brothers and now resides in France. 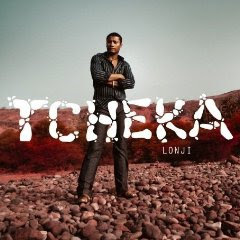 His sound is unique in that he combines intelligent, introspective songwriting with captivating melodies and a great beat. I was, of course, very familiar with Daby Touré's music before seeing him perform this past weekend at the Edmonton Folk Music Festival. Seeing him live helped me gain a whole new appreciation for his work. With a very laid-back and friendly approach (I don't think the smile ever left his face) he rhythmically strummed his guitar and presented songs about life and love. 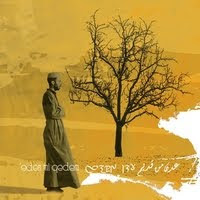 His songs never get repetitive and are downright captivating. Hot Tuna is one of those bands whose reputation precedes them. 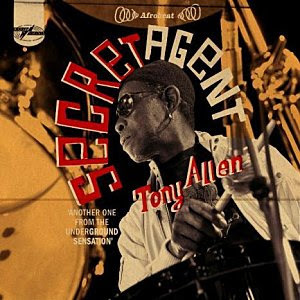 A career of performing some of the finest blues-rock music ever made over four decades, to call this San Francisco-formed band legendary seems like a understatement. According to the CBC's Holger Peterson, who introduced Hot Tuna's Sunday afternoon concert at the Edmonton Folk Music Festival on August 9, this was the band's first-ever appearance in Alberta. Looking around at the audience, I could tell some had waited a long time for this moment to come. 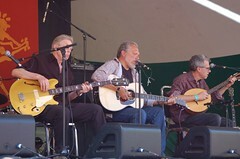 Founding members Jorma Kaukonen (vocals and guitar) and Jack Cassidy (bass) are still the core of the band, adding mandolin player Barry Mitterhoff. Acoustically slipping and sliding their way through traditional and original blues tunes, the trio captivated everyone watching. Particularly spectacular was Kaukonen's finger-picking and strong vocals, which at times reminded me of the late Jerry Garcia. Oysterband is a legendary band on the international folk music scene. Steeped in the traditional music of Britain, Oysterband has endured numerous changes in both personnel and style over the band's 30-odd year history. Currently, Oysterband could best be described as folk-rock, but with many layers of roots in music from Wales, Scotland, Ireland, and throughout the UK. 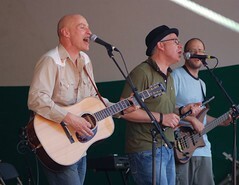 Still actively recording and touring, the band was in Edmonton this past weekend for the Edmonton Folk Music Festival. 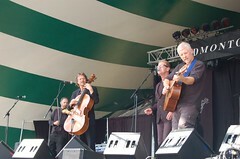 Performing on the Saturday afternoon main stage, Oysterband was in fine form. Smooth music, clear vocals, and an engaging stage presence had the crowd captivated. Oysterband has been reaching a new audience in recent years. 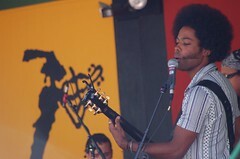 Some of their songs have taken a political direction and has put them in solidarity with fellow British musicians Chumbawumba (who were performing acoustically throughout the festival as well). The two bands have performed and recorded together on numerous occasions. First of all, let's get a couple of things straight. They aren't a choir. They aren't from the mountains. In fact, they are from Calgary (which is close to the mountains, but not quite). 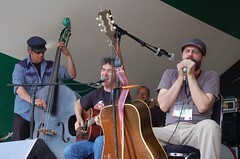 They are the Agnostic Mountain Choir and they perform music with an old-time Blues style -- with their own new-time twist. Agnostic Mountain Gospel Choir was another Edmonton Folk Music Festival discovery for me. I had heard rumblings about the band (all good) and had a chance to check them out during a jam session workshop with Daby Touré and Hot Tuna. 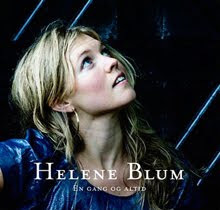 Thumping acoustic bass, twanging guitars, and vocals with all the grit and soul of an old Bluesman - I was so impressed, I checked out the band's latest album Ten Thousand on iTunes when I got back from the festival. As I was heading to the concession area at the Edmonton Folk Music Festival this past window, one of my friends waved me down and told me that I simply had to check out this incredible band called Great Lake Swimmers. I heard similar raves from others, so headed back to Gallagher Park early Sunday afternoon to hear the band's hour-long set. Although this was the first time I had heard of Great Lake Swimmers, judging from the enthusiastic and plentiful crowd the band already has an established following. Indeed, the band already has four albums under its belt, the latest being Lost Channels which was released this past March. What catches me most about Great Lake Swimmers is the atmosphere of the music. Rootsy with an upbeat tempo and just a hint of twang at times, Tony Dekker's understated vocals set the tone for his songs that are hauntingly beautiful. 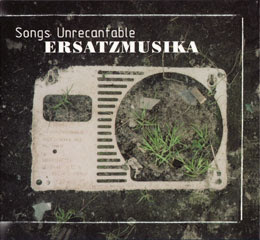 The songs have a dreamy feel to them without becoming repetitive. If you have never heard of The Skydiggers, it likely isn't your fault. Let this be your introduction to the Toronto-based band that presents a blend of folk, country, and rock. The Skydiggers is one of those bands that has fallen through the cracks time and time again. Deserving far more acclaim than it has received, The Skydiggers has been the repeated victim of record labels going under and as a result, has never been promoted to the extent it should be. Known for melodic, harmonious songs like "I Will Give You Everything," "A Penny More," and "Slow Burning Fire," The Skydiggers are celebrating 20 years as band. Members have come and gone (most notably co-singer/songwriter Andrew Cash - Peter's brother) but the core trio of the lively and eccentric Andy Maize on lead vocals, Josh Finlayson on guitar, and Ron Macey on bass has endured. The Skydiggers recently released a retrospective entitled The Truth About Us which features remastered versions of most of the band's best-known songs. 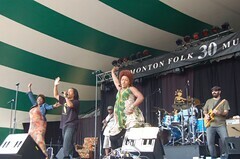 The band still tours actively as well, and was in Edmonton for the Edmonton Folk Music Festival, playing a concert on August 8. The hour-long set saw fans old and new alike swaying and singing along. As someone who owns the band's first album on cassette, I could not help but feel nostalgic when the host announced that The Skydigger's was celebrating 20 years this year. And despite the blazing heat of the summer afternoon, I broke out in goosebumps when they performed "I Will Give You Everything." Andy Maize was in fine form with his frenzied body movements and facial expressions, making witty quips in between songs.